Safety skirt and pockets for a rectangular 5 m trampoline. Sometimes it is necessary to prevent anyone from going under your trampoline, especially when you have young children who could hide underneath and put themselves in danger. The protective skirt for Apollo Sport 500 trampolines surrounds the base of the trampoline, safely blocking access beneath the trampoline. Under the weight of a jumper, the dynamic springs mean that the jumping pad can almost touch the ground. It is important to be able to check that no-one, children or pets, could get hurt before getting up on to the trampoline. - The netting on the skirt is very fine making it transparent and easy to look through and check. It is therefore easy to make sure that it is safe to use the trampoline. - This protective skirt has 5 pockets where you can stow your shoes and socks, your personal objects or even a snack for your children when they get hungry! Large and functional, this shoe bag will be really useful for all of your trampolining sessions. You can always be sure that nothing will fly out of your pockets whilst you are on the trampoline. 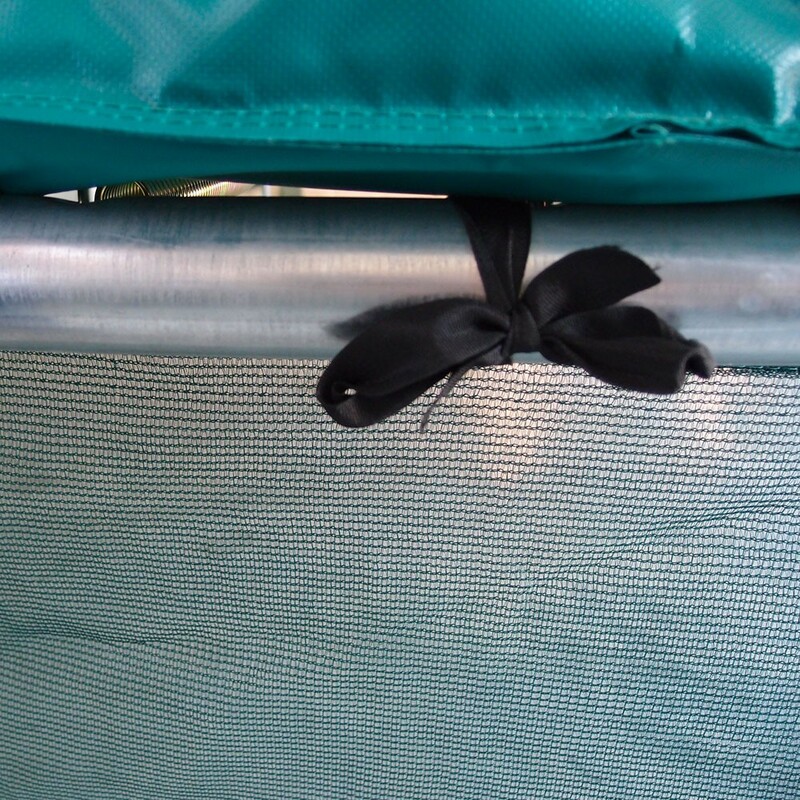 - The skirt is very solidly fixed to the steel framework of the trampoline. To reinforce its stability, metal pegs are used to hold it firmly to the ground and are delivered with the skirt. - The skirt is green and blends in with your garden. 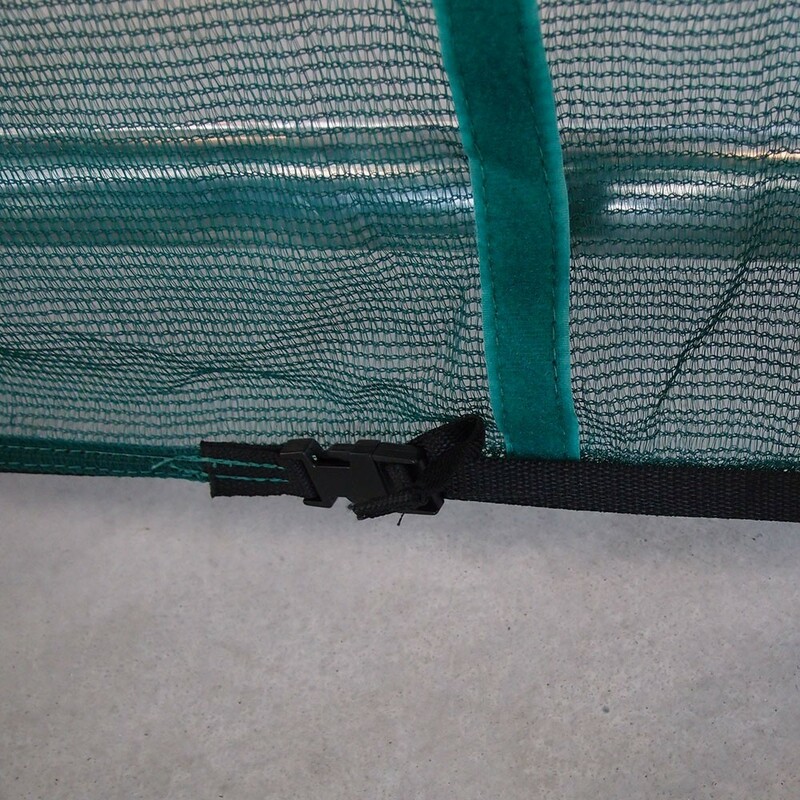 - This protective skirt is adapted to the Apollo Sport 500 trampoline. 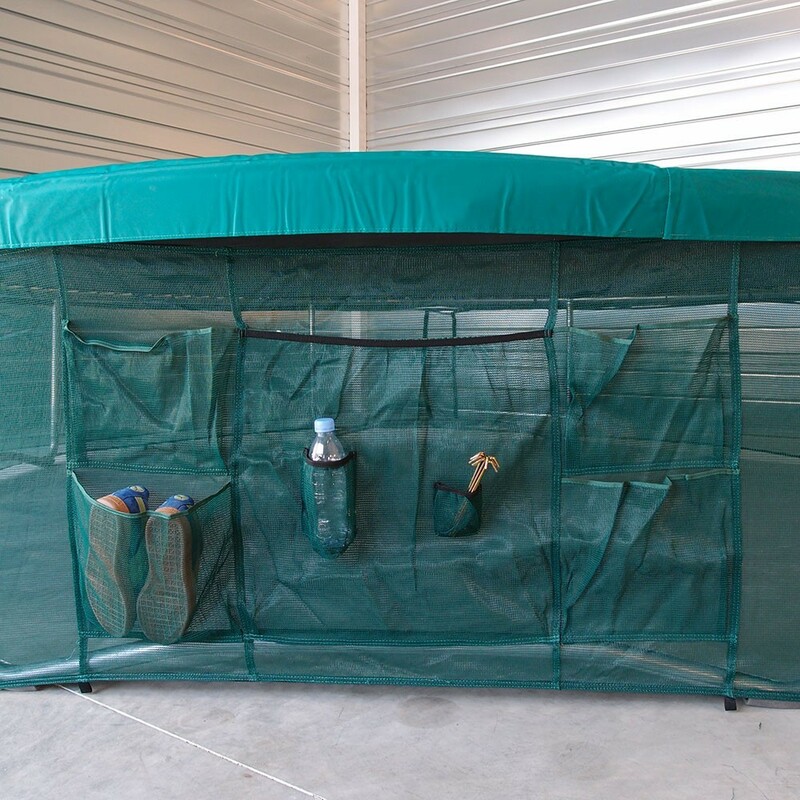 très pratique pour ranger les accessoires et évite la circulation sous le trampoline. Parfait pour la sécurité moins pour la tondeuse !